The Literary Beers and Kaffeeklatsches are great. There's usually limited spaces, so you have to get in early, especially with popular authors, they generally allow 10 people and 3 alternates, but most times if the alternate turns up the author has no issue with a few extras sitting down at the table. In 2010 I was lucky enough to do one with George R.R Martin (this was before HBO screened Game of Thrones) and that was amazing. Oddly enough he wasn't a great fan of Tim Tams. At other cons I've done them with Paul Cornell, Scott Lynch (one of the greatest ever for me, and he even signed my battered old copy of The Lies of Locke Lamora with a dedication that I'm pretty sure no one else would ever get) and Cat Valente, and she is absolutely fascinating to talk to. Lejays17 did a few at Loncon as well, she really enjoyed sitting down with Gail Carriger and Emma Newman. Oh yeah, it's kind of trips. Scott Lynch told the funniest story. A girl encountered him at a recent con, and she was very nervous, so he tried to put her at ease by telling her that he was just like any normal person, puts his pants on one leg at a time, and then she started gushing at him about the Dresden Files! She thought he was Jim Butcher! He initially wondered how she made it, because Jim is dark and Scott is fair, plus Scott's over 6 feet and according to him Jim is an 'ewok'. He told her, then she didn't believe him! It was also rather amusing when Scott had his back to the room and we all burst out laughing because Pat Rothfuss was standing behind him, dancing about and making faces. As soon as Scott realised he chased Rothfuss across the room and threatened to shave his beard off! Let's get this out of the way already. I see a muffin, then a scone and then a cookie. 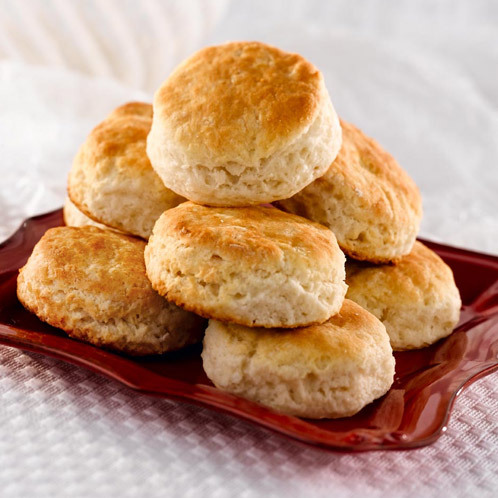 Yeah, I was having a real hard time finding a good scone picture that wasn't IN YOUR FACE BIG. Does look a lot like a muffin tbh, but the second is obviously a buttermilk biscuit. The above could very well be a cookie or a cracker. 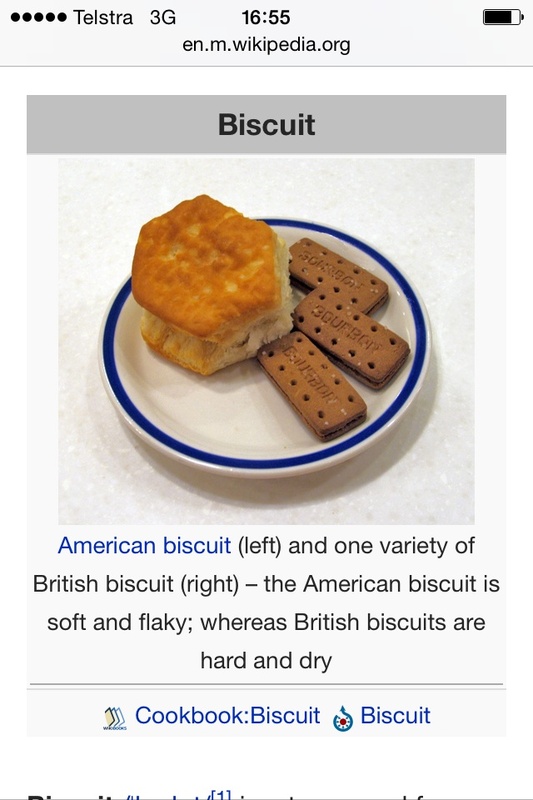 You could also call the third one a chocolate chip biscuit. And I better not even mention damper. Sorry I had struggles editing my post. This first section on the use of the term is very enlightening. Americans just tried to look original by applying the term to soft sweet food. Should finish the debate. 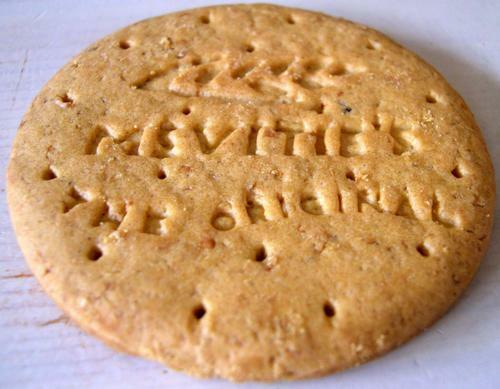 "Biscuits are a small dry type of cake" dixit the people who invented pastry, brandy, cooking and love making. And won every other international pastry competition.